Hi! 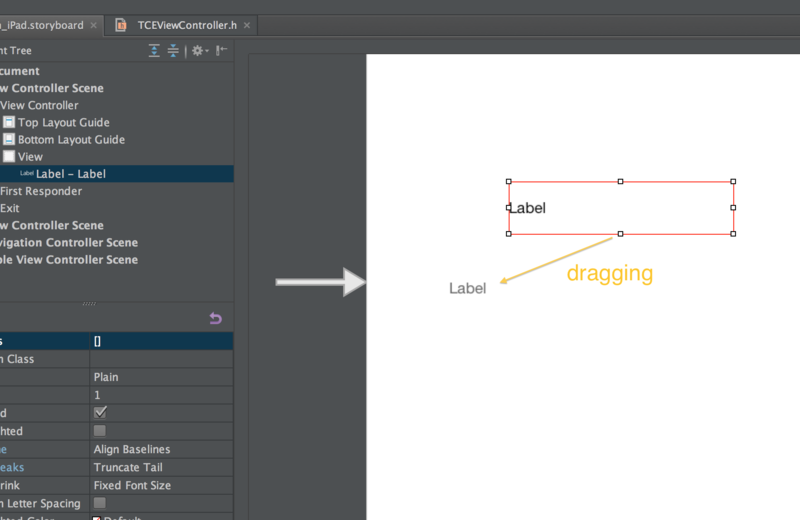 I'm excited about the new UI Designer in the AppCode 3.0 EAP. However, I'm having some issues while using it. 1) Clicking on an outlet does not highlight or in any way indicate what object on the canvas is connected to that outlet, as it does in XCode Interface Builder. 3) Almost impossible to move a view controller scene in a story board. Clicking on the scene will select its innermost view, and dragging does nothing with that. It seem like the only option is to select the view controller from the listing on the left and then very carefully click the 1 - 2 pixel blue border that appears around the view controller and drag it. If you are off by a pixel on your click, you have to go back and reslect from the list on the left and try again. Are these known issues? Are there alternate workflows / shortcut keys / workarounds in place? This is only the EAP version and of course we plan to make UI Designer better till the release time.